Doctor John Spangler has noticed a disturbing trend among his patients. They often cannot afford the lifesaving medication they need, even working full time. More and more, families are forced to make the choice between necessities like groceries and medicine. ,br> In this episode, Doctor Spangler shares some stories from his patients, and lets us behind the scenes on how pharmaceutical companies market their most expensive drugs to doctors like him. Read Doctor Spangler's piece in the Greensboro News and Record. Look up any doctor on Propublica's "Dollars for Docs" database to see how much they have received from pharmaceutical companies. 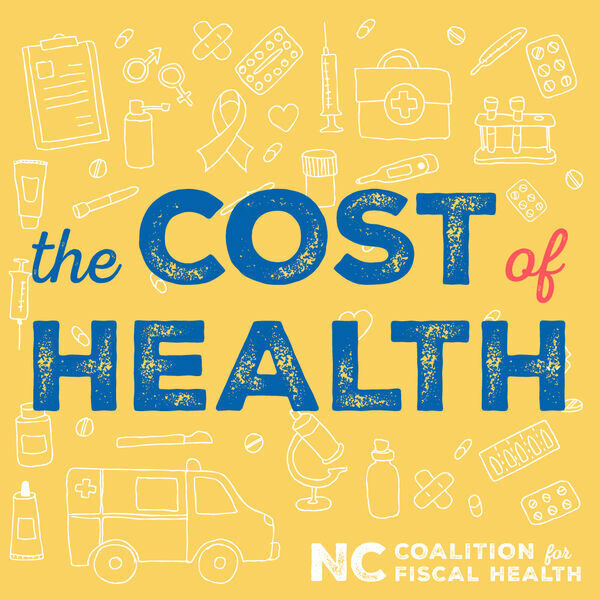 The North Carolina Coalition for Fiscal Health is a 501(c)(4) corporation, organized as a nonpartisan group focused on economic issues and the rising cost of healthcare in North Carolina. We’re here to talk about improving the fiscal health of all North Carolinians. All content © 2019 Cost of Health.